Williamsburg Boulevard between 33rd Rd North and 35th Street North. The Williamsburg Green Street project was completed in June 2018. Construction was coordinated with the Old Dominion Drive Phase 2 Improvements project. As a part of the Green Street project, new canopy trees were planted between 34th Road North and 35th Street North. 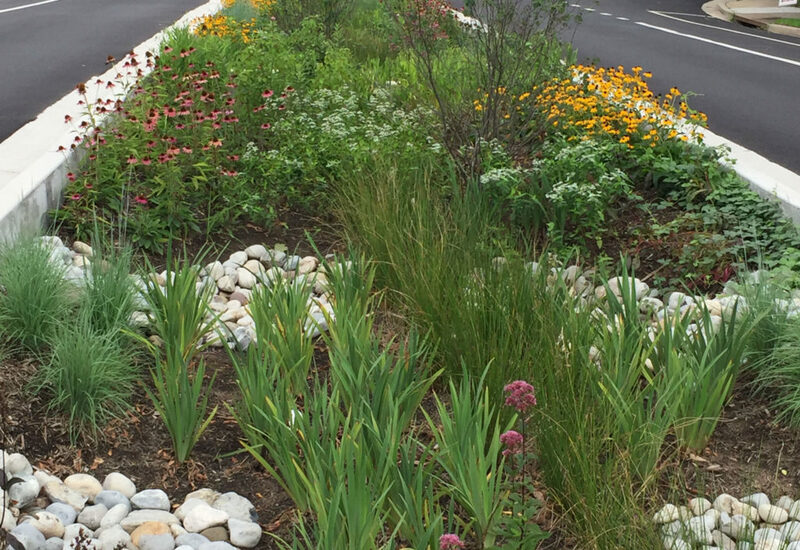 Two 1,000-square-foot rain gardens were planted in the median between 33rd Road North and 34th Road North. These new rain gardens will clean the polluted runoff from 1.8 acres within the Little Pimmit Run watershed. The Green Streets Program provided plant palette options to the residents. By a vote, residents selected the Option #2 palette. The streetscape improvements were implemented as part of the Green Streets Program and were identified in the watershed retrofit plan for Little Pimmit Run. June 22, 2016 Project update provided in writing to Rock Spring Civic Association. May 2015 Project update provided in writing to Rock Spring Civic Association. September 2014 Project update provided in writing to Rock Spring Civic Association. June 13, 2012 Williamsburg Middle School, 3600 N. Harrison St.
April 27, 2011 Williamsburg Middle School, 3600 N. Harrison St.
June 4, 2009 Yorktown High School, 5200 N. Yorktown Blvd. See Little Pimmit Run Watershed Retrofit Study public meeting materials. Nov. 12, 2008 Yorktown High School, 5200 N. Yorktown Blvd. See Little Pimmit Run Watershed Retrofit Study public meeting materials.